Civil Asset Forfeiture is not a new thing. It has been a part of international law for centuries. British military seized booty stolen by pirates on the open seas. Customs officials confiscated goods from smugglers. As a result of limited resources and murky borders, military, and law enforcement seemed to have little choice if they wanted to stop illegal activity. Civil asset forfeiture has taken a turn for the worst, letting law enforcement agents seize property without proof of any crime. In most cases, the owner of the property will never get it back. People that fight the system spend thousands of dollars in legal fees without any guarantees. Defendants cannot have legal counsel, causing many to give up the fight before they’ve begun. Many believe that policing for profit has gone too far, but lack the information to fight back. Federal court and 35 states require the owner to prove his innocence. In 5 states, laws depend on the type of property seized. In 10 states and the District of Columbia, the government has the burden of proof. Some states require citizens fighting asset forfeiture to pay the state’s legal fees. In 25 states, law enforcement keeps 100 percent of forfeited assets. In nine states, law enforcement retains 80 percent or more of seized assets. Several states are taking steps to restore rights to their people. The judiciary is speaking out against civil asset forfeiture on a regular basis. 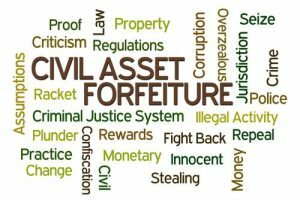 In June 2017, the DC Circuit Court of Appeals ruled in favor of civil asset forfeiture victims. Supreme Court Justice Clarence Thomas vehemently opposed civil asset forfeiture during a case in March 2017. In April 2017, the Arizona State Legislature unanimously passed a bill on civil asset reform. Lawmakers were not clear on the new law, but it raises the burden of proof for law enforcement agencies. In January 2017, a new law took effect requiring a criminal conviction before seizing any assets valued less than $40,000. Connecticut requires an arrest before assets can be seized. Assets must be returned unless there is a guilty plea or conviction. The State of Georgia passed a modest civil asset forfeiture law in 2015. The law requires transparency and that funds raised from forfeiture must be used directly for law enforcement. Despite the reform, Georgia remains at the top of states with the worst civil asset forfeiture laws. The state legislature passed bill SF 874, requiring a criminal conviction or an admission of guilt in order to seize assets. The state is now responsible for the burden of proof. 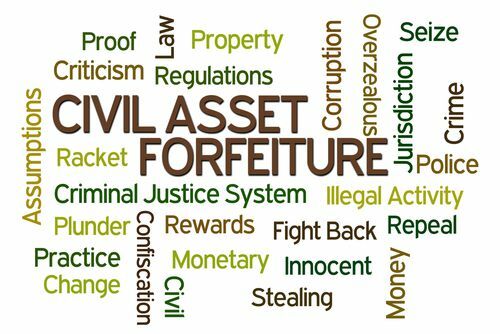 The state legislature passed a sweeping reform requiring a criminal conviction for asset forfeiture. Additionally, the asset forfeiture fund is attached to the state’s general fund instead of the seizing police department. In June 2017, Pennsylvania passed a law creating innocent owner protections and increasing the burden of proof on police departments involved in civil asset forfeiture cases. The law requires a hearing before property can be seized. State Representative and former state trooper Barrett Rich introduced a bill requiring a warrant for seizure, but was voted down. An amended version was passed, requiring an immediate hearing for property owners. Texas has the worst civil asset forfeiture laws in the United States. Horror stories abound regarding forfeiture. Texas Appleseed, a criminal justice reform advocacy group, has released a guide showing citizens how to fight back. Lawyers created a free toolkit for citizens. Defendants can use sample pleadings to fight forfeiture in court. Establish innocent ownership. You should require renters to sign a lease with a clause stating that illegal conduct is prohibited on your property. Do thorough background checks on renters and house sitters. Exercise dominion over your property. You should visit your rental property regularly and keep documentation of the visits. If you carry large amounts of cash, obtain fresh bills from your bank. Nearly 90% of all money has drug deposits on it, which can be used as evidence of criminal activity. Record actions taken to prevent illegal activity on any property that you own or rent.